Did you know that like human toddlers, great apes, magpies and dolphins, elephants have passed “the mirror test” — recognizing their own reflections, a key check of self-awareness? Scientists are learning more and more about the uncanny intelligence and behavior of the elephant every day. As the largest land mammal on Earth, elephants also have the largest brains. They are social and emotional creatures, showing signs of grief, friendship, memory and even a seeming ability to count and make music. There is so much more to know about the two species of elephants — African and Asian — but as trends point now, how much more time do we have to understand this iconic animal? The truth is today elephants are being killed at an alarming rate by criminal networks involved in the illegal sale of ivory. 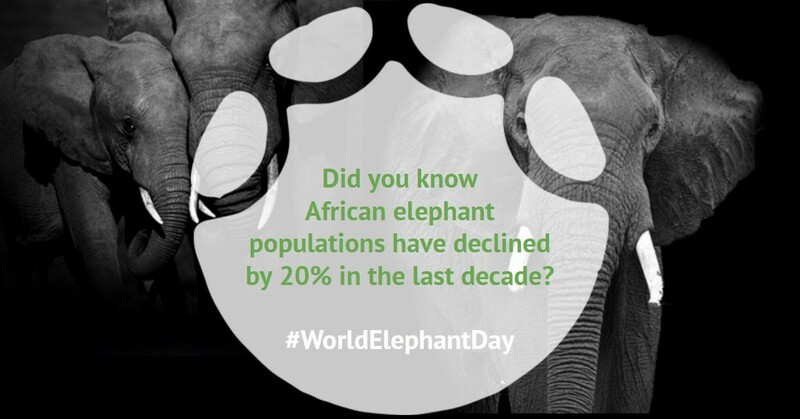 African elephant populations have declined by about 20 percent in the last decade to just over 400,000, largely due to the impact of wildlife traffickers. Wildlife trafficking — the illegal poaching, transit, trade and sale of wildlife — is the world’s fourth largest transnational crime and is worth tens of billions of dollars a year. 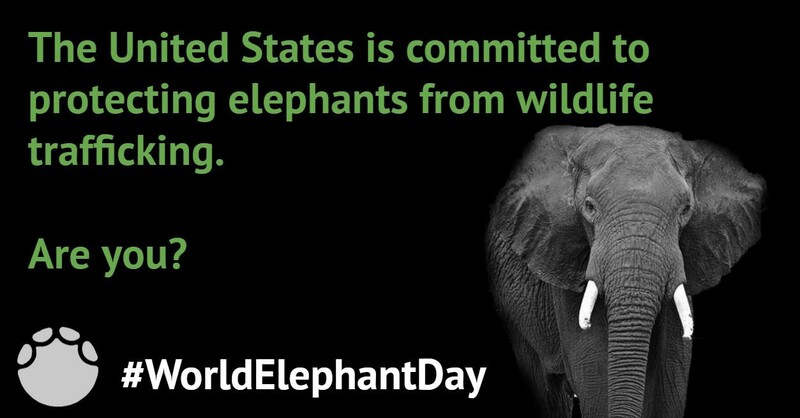 The United States is committed to protecting elephants from wildlife trafficking. In 2016, the U.S. Congress passed the Eliminate, Neutralize, and Disrupt (END) Wildlife Trafficking Act. This law calls on the 17 federal departments and agencies of the U.S. Wildlife Trafficking Task Force to collaborate to save species threatened by the illegal wildlife trade. Elephants were identified as one of the priority species in this fight. Technology is another crucial way in which we can meet this complex challenge and help save elephants all over the world. 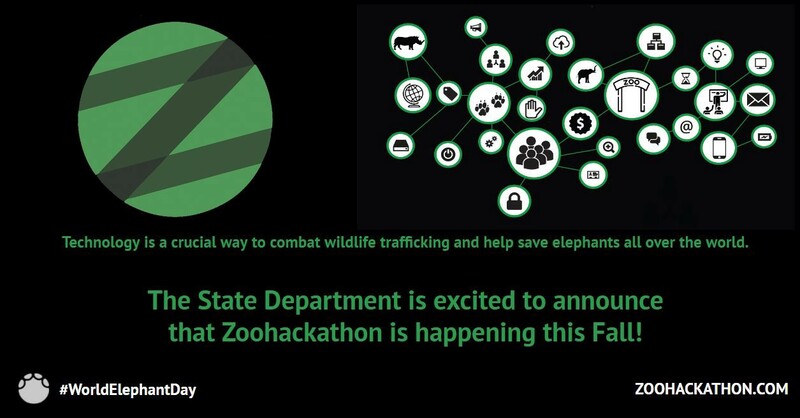 Last year, the U.S. Department of State, in partnership with the Association of Zoos and Aquariums, launched the very first Zoohackathon. The Zoohackathon brought together volunteer computer coders, technologists, designers, and wildlife experts at zoos in London, Sydney, San Diego, Seattle, Sydney, and Washington, D.C.to develop technology solutions that will help combat wildlife trafficking. Two of the solutions created during last year’s Zoohackathon are currently being developed — WildTrack and Safe Souvenirs. WildTrack helps the public report poaching activity to the Spatial Monitoring and Reporting Tool (SMART) system. This tool helps make technologies used for monitoring wildlife trafficking and poaching efforts more effective and easier to use. Safe Souvenirs is a mobile and web app that provides tourists with information on what products are illegal to import into the United States. In addition, it provides tourists with alternative souvenir options that are safe to bring home from their destination. We are excited to announce that the 2nd Zoohackathon will take place on September 22–24 and October 6–8 in London, New Delhi, San Diego and Chicago. For more information, visit the Zoohackathon website. Learn more about the State Department’s efforts to end wildlife trafficking. Originally published on blogs.state.gov on August 12, 2017.